Do you get my email announcements? Enter your email here to receive a note as soon as future visits are released. Appearances are Weather Permitting. I’m not afraid of a little rain but Strong Winds and high chance of thunderstorms will keep me in my hiding place. What is the best time to visit? Family Day! It’s part of the I Heart Figge summer of events. 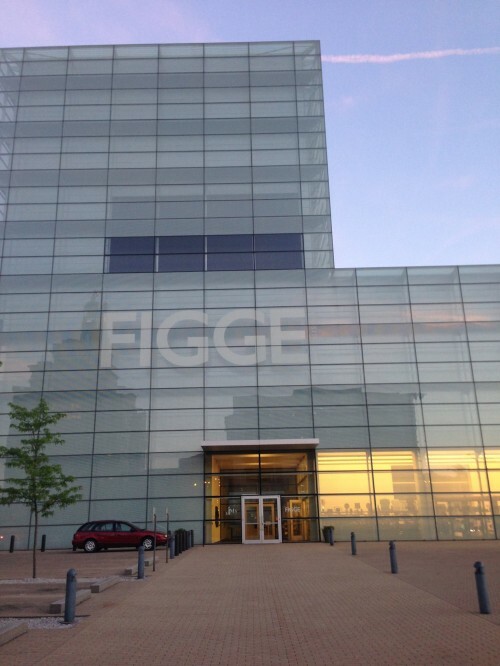 Gather up the kids and come down to the Figge for another fun-filled family day on Saturday, June 20 at 10 a.m.! 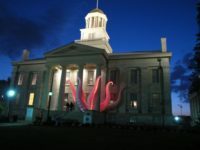 View the River Monster on the Bechtel Plaza before heading inside for hands-on activities and demonstrations celebrating American Moderns on Paper: Masterworks from the Wadsworth Atheneum Museum of Art and I Heart Figge exhibitions. 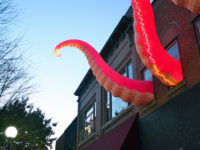 Draw, paint, create a storybook, make a collage, or design a crazy monster! Activities will be offered from 10 a.m.-1 p.m. At 1:30 pm on the Plaza, enjoy an A Capella Afternoon and live music at 3 p.m. brought to you by Live Uncommon as part of their Summer Series on the Figge Plaza. Free admission all day! 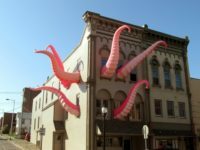 A big thank you to the Downtown Davenport Association, Muscatine Convention and Visitors Bureau, and the Figge Art Museum for making this Muscatine River Monster experience possible. 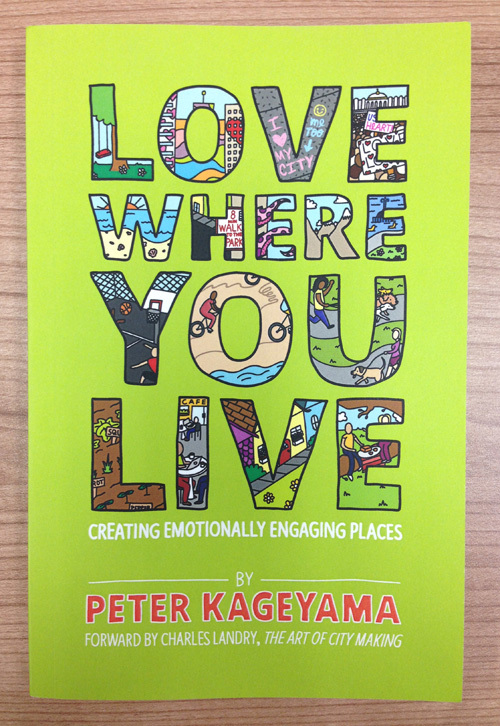 Author Peter Kageyama has a new book! And guess what, I’m featured in it! I think I’m even on the COVER. Look closely at the ‘E’ in ‘LOVE’ and tell me what you think. 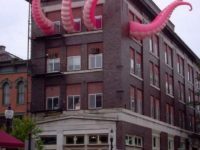 The book is called Love Where You Live – creative emotionally engaging places and it’s full of examples of things that people do to make their cities more lovable. Peter travels around the country giving presentations and workshops about how ordinary people are making their cities more lovable. The surprising thing is this: Peter shows people that they don’t have to be wealthy or have important positions to make a big difference. They don’t need special connections or really anything special at all. They just need to believe in their ideas and make their own ‘Love Notes’ to the places they live. This is a fun read and you will likely be inspired to go out and create your own project – small or large – wherever you live. Would you like to see me in person? You just might get a chance! Follow me on FB (click ‘get updates’) or on Twitter to be the first to know when I’m about to appear. 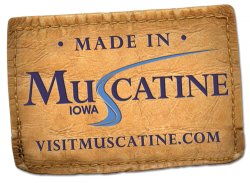 More about Muscatine, IA, the enchanting river town I call home. T-shirt Giveaway! Who will win? To celebrate my first appearance in 2012, lets do a contest: I want to give away a River Monster T-shirt! To Enter: Post a photo on my Facebook page of me on top of Taco Johns Muscatine – I’ll be there on May 3,4,5. To win, make it a good photo! See if you can include yourself or your friends in it. 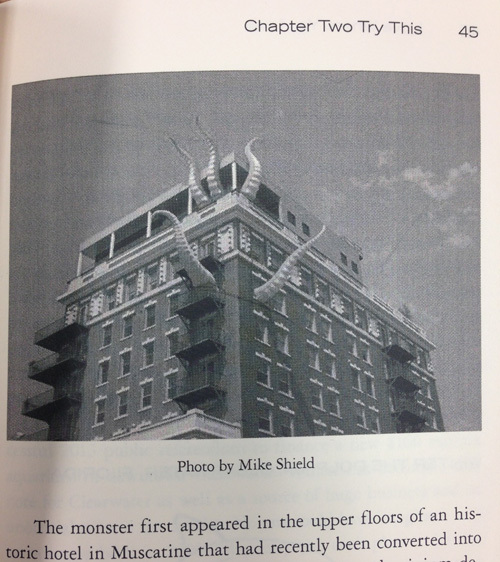 On Saturday (May 5), I’ll choose my favorite photo and award a kids (or small adult) sized River Monster T-shirt to whoever posted it. I’m going to look for happy people having fun!